We're all fascinated by the numbers, as we were about the 100 points. 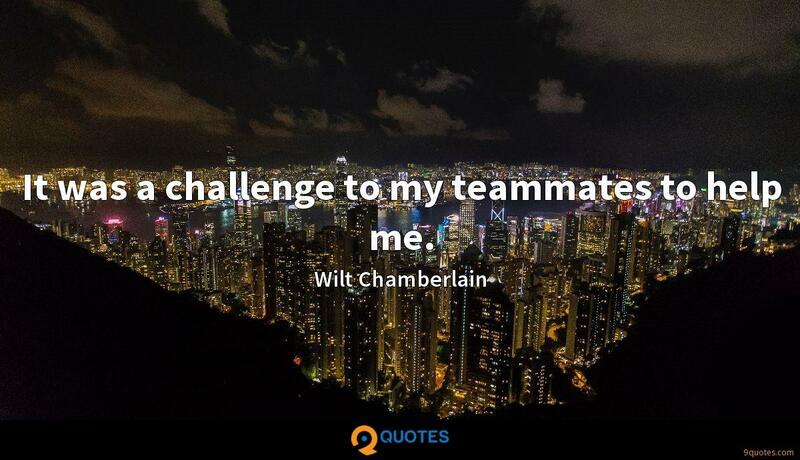 Wilt Chamberlain Quotes. 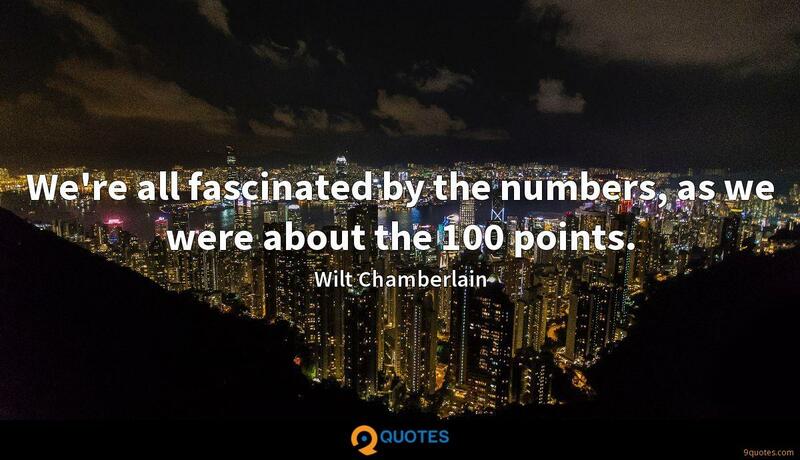 9quotes.com, 2018. http://www.9quotes.com/quote/wilt-chamberlain-88480, accessed 25 April, 2019. 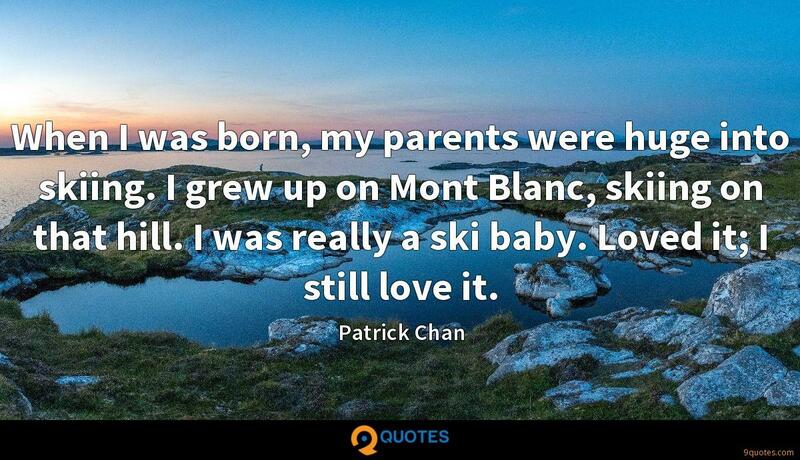 When I was born, my parents were huge into skiing. I grew up on Mont Blanc, skiing on that hill. I was really a ski baby. Loved it; I still love it. When I think about how I want to reach an audience, I just wanted to make pieces that were inspired by something that gave me so much pleasure. Having such high-profile parents could be intimidating, but really, they've let me do my own thing and evolve as a person. When I changed my major from economics to film, they were cool about it. My goal in the classroom was always to make sure they were having so much fun that they didn't realize they were learning. Her mother, Laurie Simmons, is a contemporary artist, and my stepmother, Cindy Sherman, is a photographer, so they've known each other forever. Lena and I were often at the same dinner parties when we were kids. 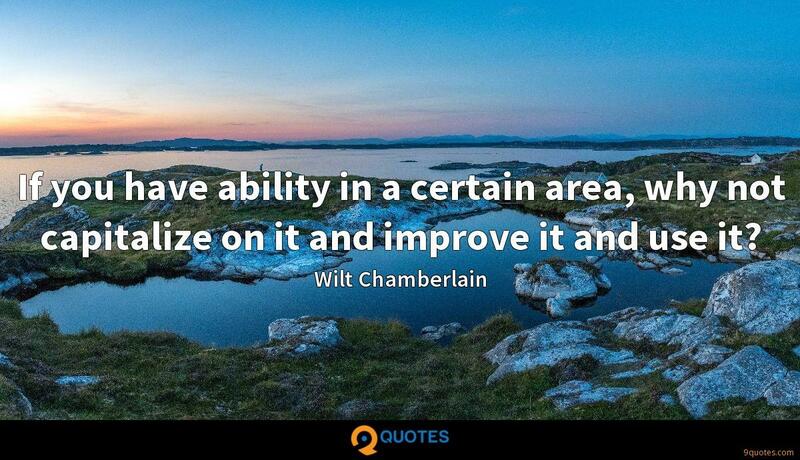 If you have ability in a certain area, why not capitalize on it and improve it and use it? It was a challenge to my teammates to help me. I guarantee you, if you could give me 10 points in all those seventh games against the Boston Celtics, instead of Bill Russell having 11 rings, I could've at least had nine or eight. And I remember leaving my place in L.A. and - my father is a big fight fan - and I said, 'Dad, I got a couple of days off and I'm getting ready to go to Houston to sign to fight Muhammad Ali. 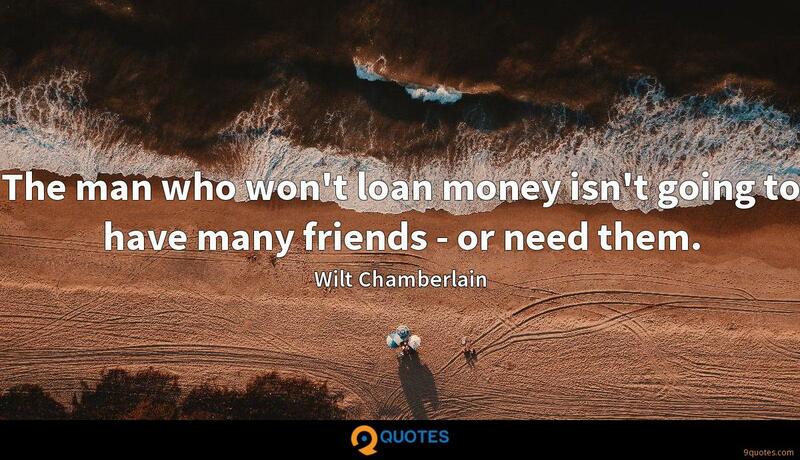 The man who won't loan money isn't going to have many friends - or need them.